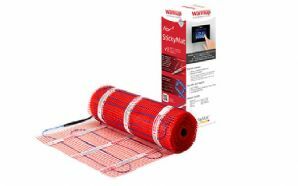 You also get the choice of either a 150watt per m2 or 200watt per m2 mat. The 150W Matt is designed for use on wooden floors or insulated floors. If tiling onto a concrete floor or the thermostat is not normally run on a timer then it is advisable to go for the 200W system as it has a faster heat up time. Just choose the amount you require, the wattage either 150w per m2 or 200w per m2 and the type of thermostat. Divide the floor into a series of rectangles. From these measurements you can calculate how many mats you’ll need and what sizes. Exclude permanent or static fixtures from your calculations. If the floor is screed over concrete, it is advisable to lay insulation boards to minimise heat loss and ensure quicker warm up times. Lay the first run. At the end of the run cut the mat leaving the cable intact, turn the mat through 90º or 180º and continue laying. When the area is covered, adjust the mat until the loops are equal distance apart. Now attach the mat to the subfloor using the special tape supplied. 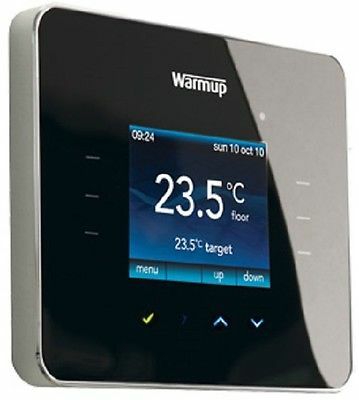 You will need to install an RCD fused spur which powers the thermostatic controller/programmer and the matting system heating element network. 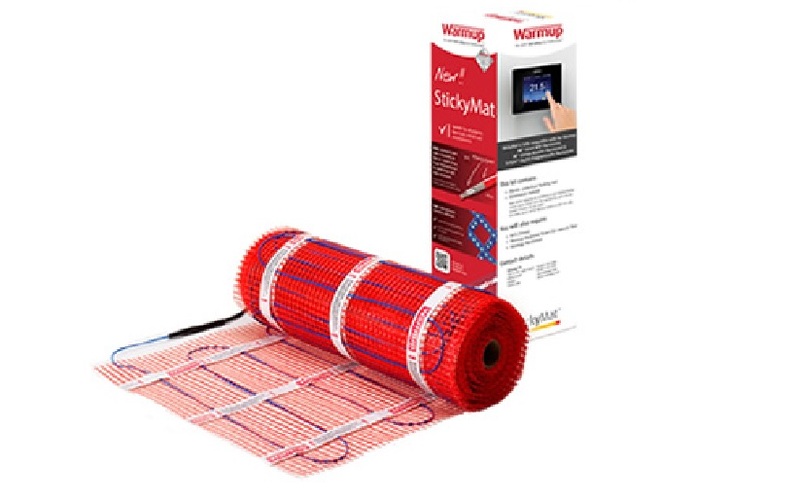 Lay the temperature probe from the timer-thermostat onto the floor, equidistant between two of the cable loops, and attach it to the floor surface. Now take the unheated power supply cable from the end of the matting system, which should be positioned near the thermostat. Once all the connections have been made to the power supply, run the heater(s) to ensure they are heating up (no more than 10 minutes). Either lay a thin, self-levelling screed over the mat and leave it to dry before laying tiles or trowel flexible tile adhesive directly over the mat and lay the floor tiles. Once the grouting is complete, let the tile adhesive cure before switching on the system.